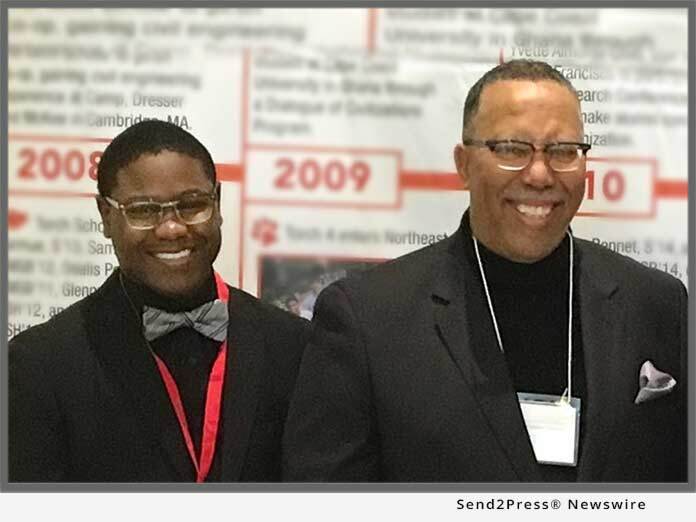 MARIETTA, Ga., Mar 27, 2018 (SEND2PRESS NEWSWIRE) -- The Foundation for Ensuring Access and Equity announced today that one of its College Planning Cohort students, Otis Burns, who attends Northern Guilford High School in Greensboro, North Carolina, has received news that he has been selected as a Northeastern University Torch Scholar. The Torch Scholarship covers tuition, room, board, books, and fees to Northeastern University, valued at $260,000 over 4 years. Otis, a participant in the Guilford County Schools First Generation College Planning Cohort Program was nominated by the Foundation for Ensuring Access and Equity CEO/Founder, Mychal Wynn. Mr. Wynn and his wife, Nina, developed their College Planning Cohort Program in 2014 through a partnership between the foundation and their church, Turner Chapel AME Church, where they also serve as the Education Ministry Leaders. The Guilford County Schools First Generation College Planning Cohort Program, under the supervision of Mrs. Evelyn Hobbs, of the Office of Diversity, Equity, & Inclusion, is now in its second year. The program has assisted over 100 students, most of whom are first generation, from throughout Guilford County Schools in developing comprehensive college-bound plans to expand college access and successfully navigate college admissions, scholarships, and financial aid. Participating students have been offered admission to such top colleges as Amherst, Bates, Williams, Swarthmore, George Mason, UNC - Chapel Hill, Davidson, Wake Forest, Duke, and Johns Hopkins. Burns, who serves on the Greensboro Youth Council is a member of the National Honor Society, Second Chair of the Guilford County Honors Orchestra, President of the Christian Athletes Association, and Senior Class President was selected as one of 50 students, from over 500 nominees, to be invited to the Northeastern University Torch Scholars Interview Weekend. Mr. and Mrs. Wynn prepared Burns for the interview and reassured him to be himself. Burns and his dad navigated a new set of obstacles as their connecting flight from Washington, DC to Boston was cancelled. Forced to rent a car, they drove all night to arrive just in time for Burns to change clothes and participate in the Interview Day. Burns notes, "I never imagined that something like this would be possible. I never imagined that I could be offered admission to a school like Northeastern. Prior to joining the Cohort, I had resolved to attend school in North Carolina and to take out student loans. To become a 'Torch Scholar' and have a full scholarship is surreal. I am so grateful to Guilford County Schools and the College Planning Cohort Program. Without the program, support of my parents, and guidance of Mr. and Mrs. Wynn, this would not have been possible." Burns plans to major in political science and global affairs, with aspirations of entering into public service. Nearly 200 students in grades 9 - 12 are currently participating in the foundation's College Planning Cohort Program, operating in North Carolina, South Carolina, Georgia, and Texas. Mr. Wynn notes, "We are so proud of our 2017 cohort students, many of whom will be the first in their family to attend college. They have worked hard researching colleges, applying for scholarships, and writing essays. They are deserving of the many college and scholarship opportunities they are receiving. For many of our students, their parents have attended every meeting and worked side-by-side to open up these opportunities for their family." The foundation will be offering College Planning Boot Camps this summer for rising 9th graders and for rising high school seniors. *Photo Caption: Pictured in the photo is Mr. Wynn (R), Otis' nominator, and Otis Burns (L), a senior at Northern Guilford High School, in Greensboro, North Carolina.